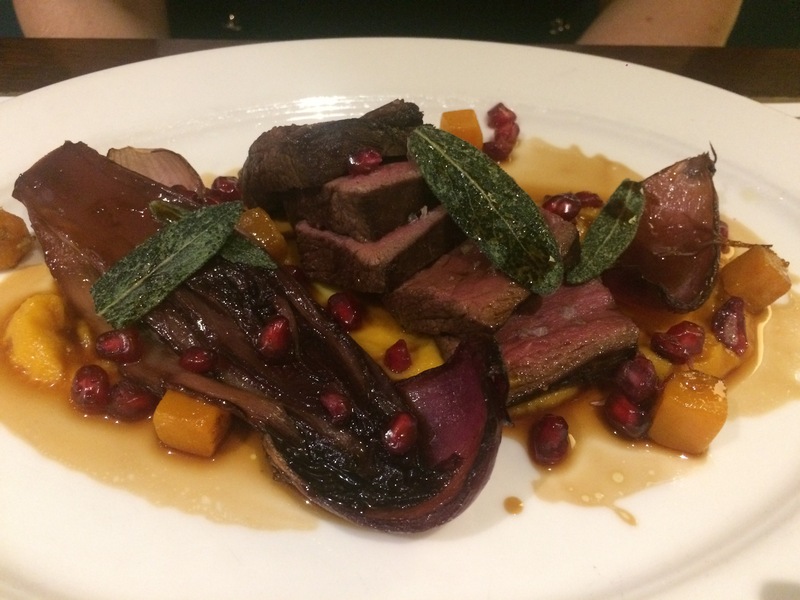 This is part two of our fun weekend in Edinburgh. Part one was a delicious brunch in Milk on Morrison Street – see the post here! After we spent the day in the One Spa in the Sheraton (and after an unplanned nap) we decided to get ready for some dinner! I have followed this place on Twitter and have always wanted to visit. 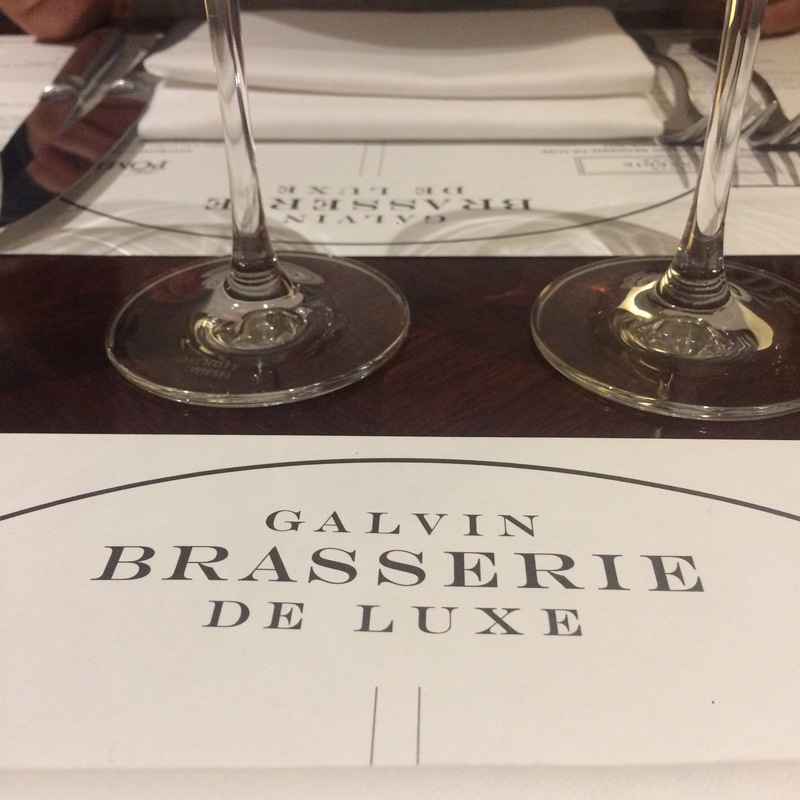 We were dead certain to try out the Galvin Brasserie de Luxe after a look at their menu. 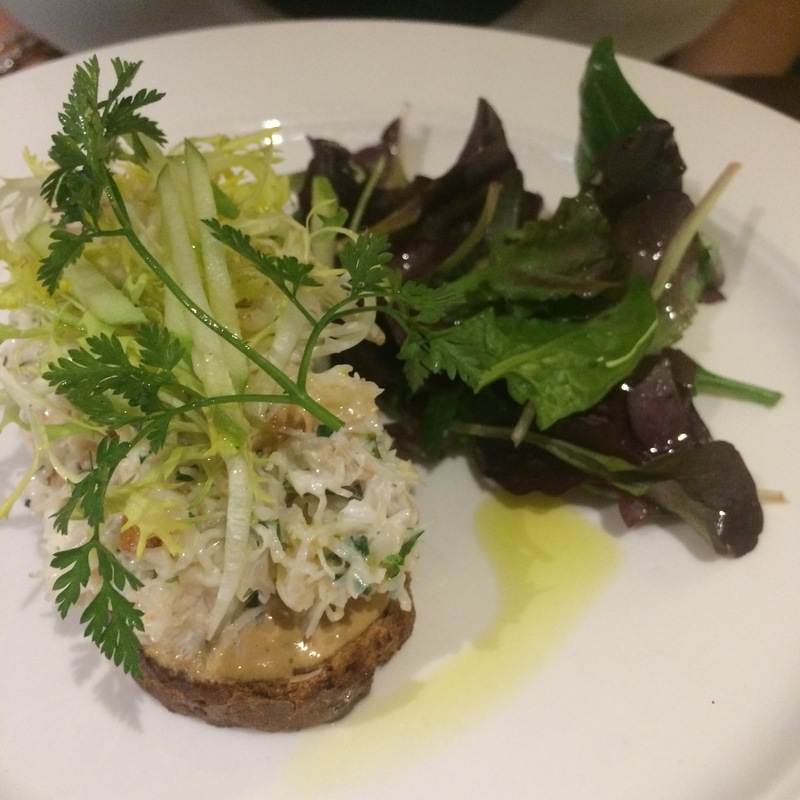 We were greeted by a sleek and elegant dining area, very friendly staff and an impressive seafood selection in the counter. The minute you walk in you feel good about life. You know that good food and wine is on the way! 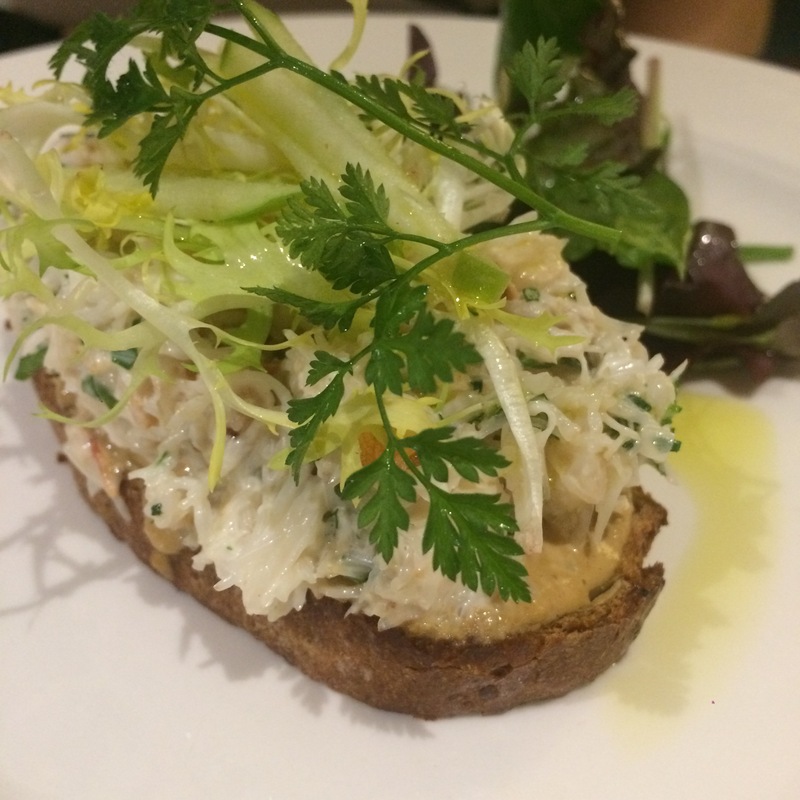 The crab was absolutely delicious – very fresh, and dressed with a creamy citrus mayonnaise. It was the perfect appetiser. I always struggle to say more about dishes like these, and trust me, it’s not a lack of enthusiasm, it’s just how simple but delicious they are! 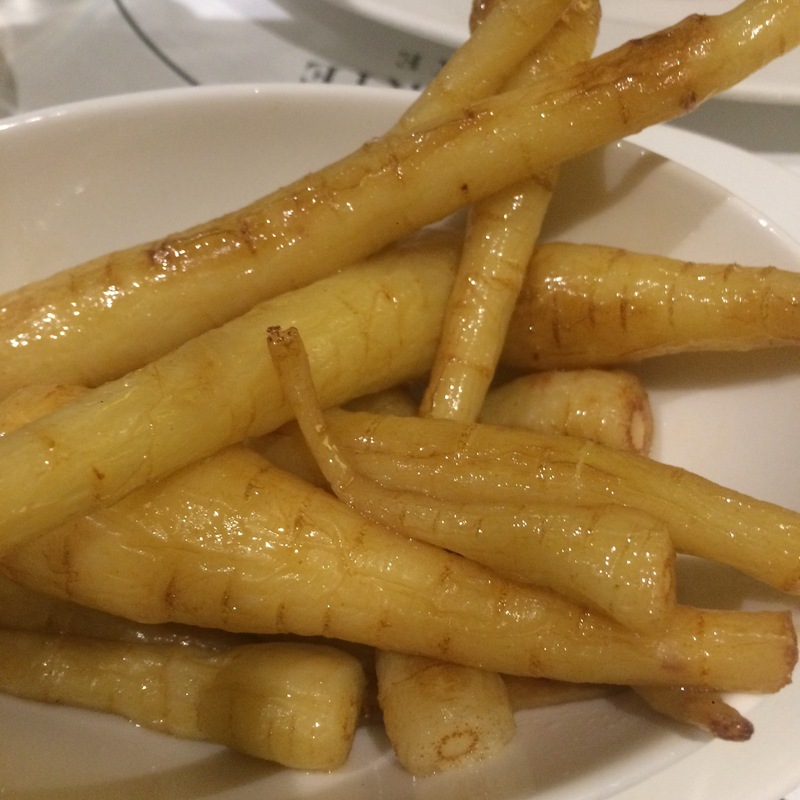 This was so full of flavour – I absolutely loved it. 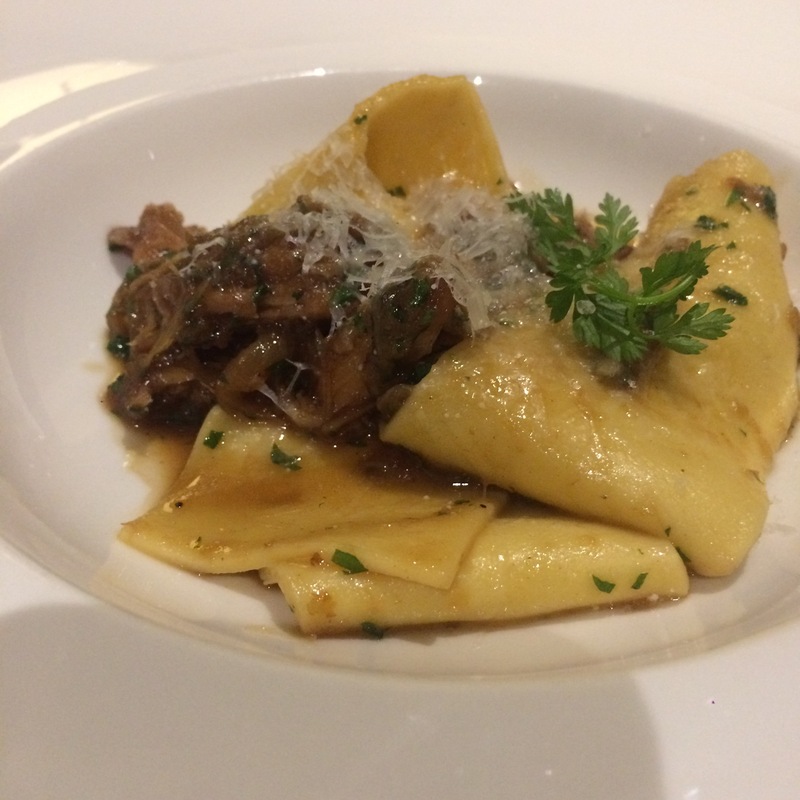 The pappardelle was perfectly al dente and was the perfect base for the ragu. I love rabbit and hare but often you find bones in it, and it’s rather off putting for me. 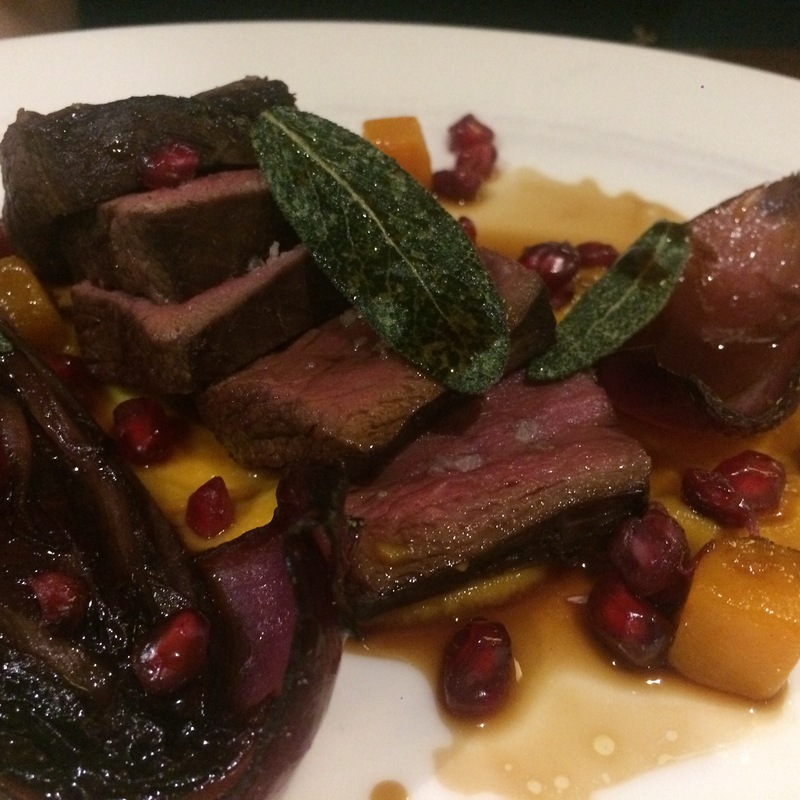 This dish had nothing but gorgeous tender meat. The gamey flavour from the meat and the deeply flavoured sauce was just fantastic. 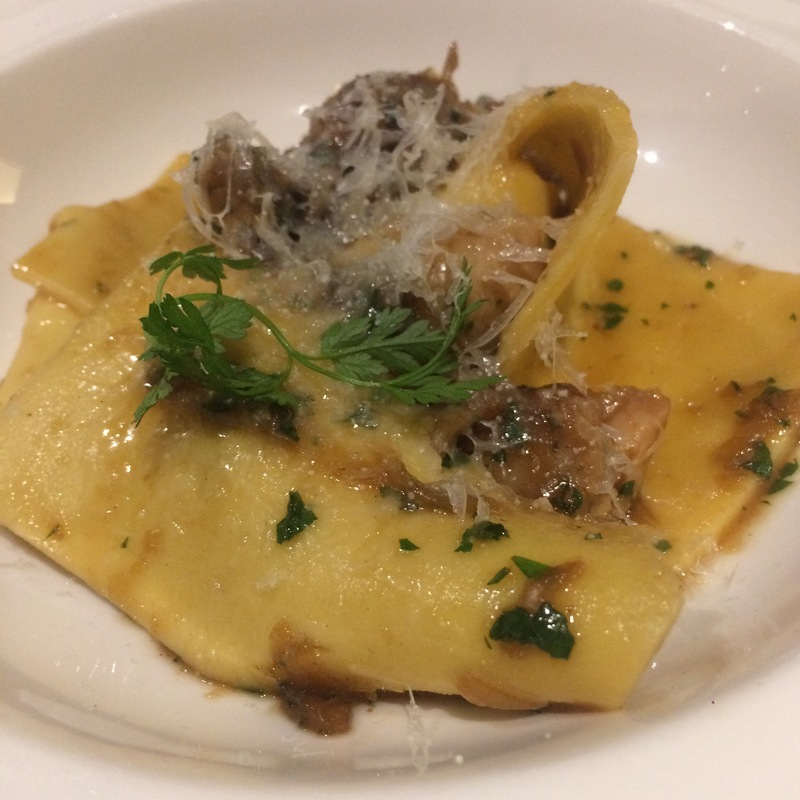 The only downside was the portion size – it was absolutely tiny and I had the plate cleaned far too quickly! I unfortunately can’t tell you anything about this dish because it was so delicious that my sister wouldn’t give me – even a tiny – piece to try. She’s a huge fan of venison and wouldn’t let a bite go amiss, so I can only assume she’d give it 10/10! 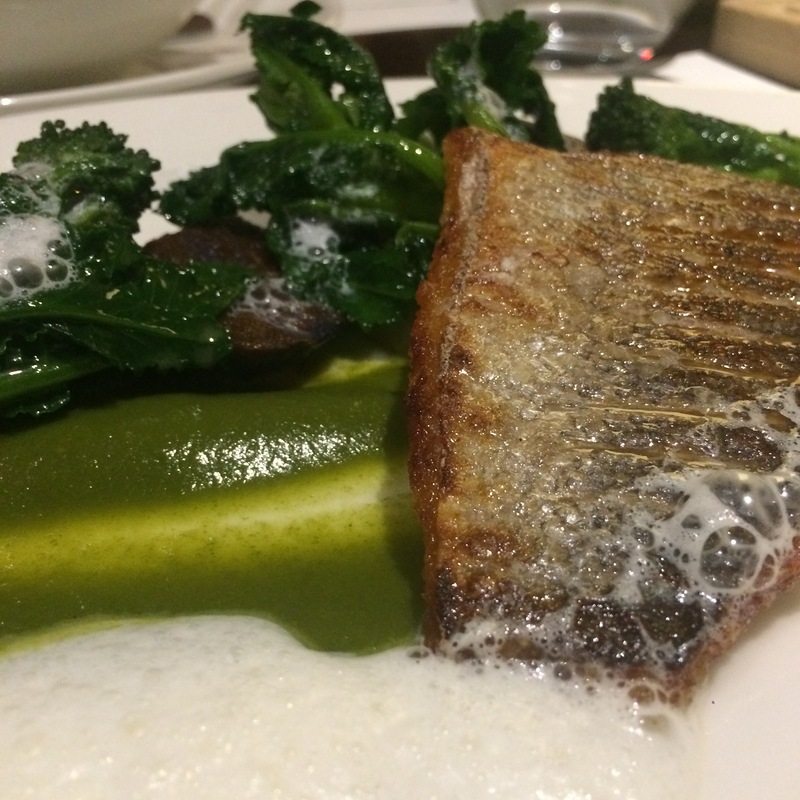 The collection of flavours posed by the dish were absolutely delicious, and it was a nice and light main course. 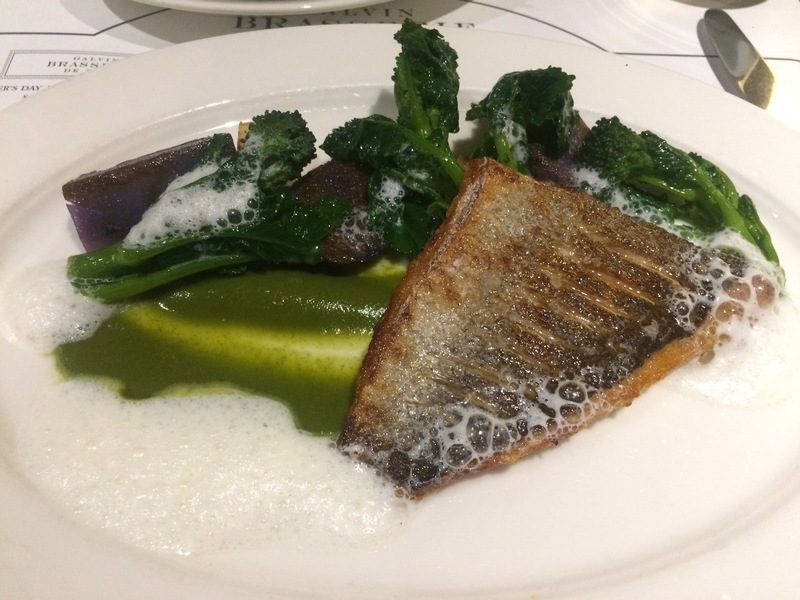 The seabream was perfectly cooked – lovely crispy skin and soft flaky fish. The rest of the dish was nice but some of the purple potatoes could have done with a little longer whilst being cooked. 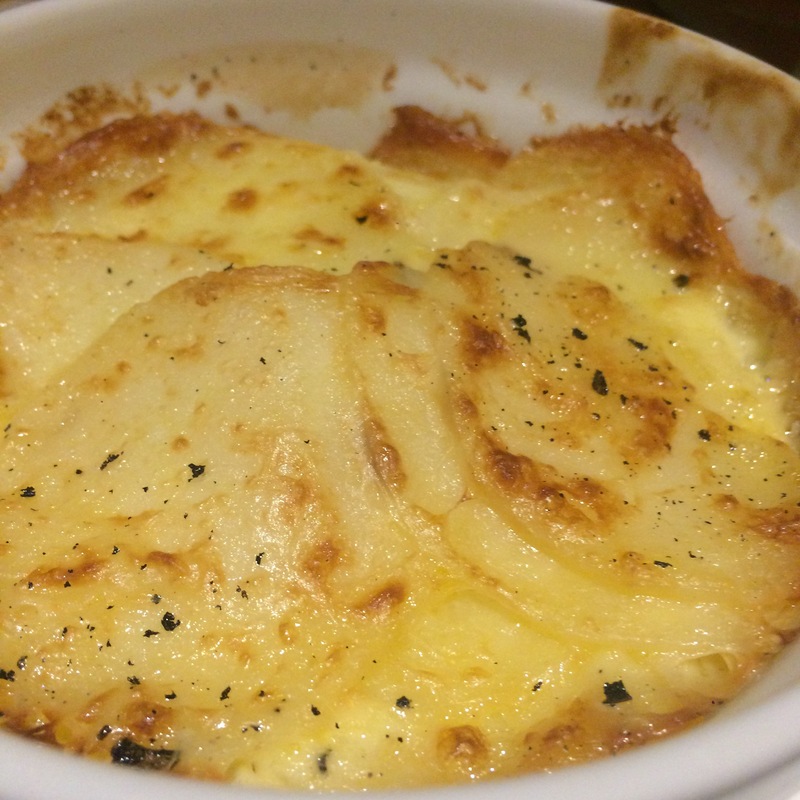 We got some side dishes and I thoroughly enjoyed the creaminess of the potatoes with this. I have a very slightly mixed view of this place. On one hand you have delicious ingredients in a classy, beautiful setting. But on the other hand, a slightly disappointing misfire with value for money in my opinion. It’s not the kind of restaurant you’d visit for huge portions, but it doesn’t mean that the tiny portions for the price sit well with me. The portion-to-price ratio is off. I decided to go ahead and post this review because based on the basis of the food, atmosphere and staff, I would definitely recommend it. And I do plan to go back…just not if I’m particularly hungry! Call me greedy, but I like a bit more for my money! I’ve always fancied going here too! Thanks for a heads up on the portions.